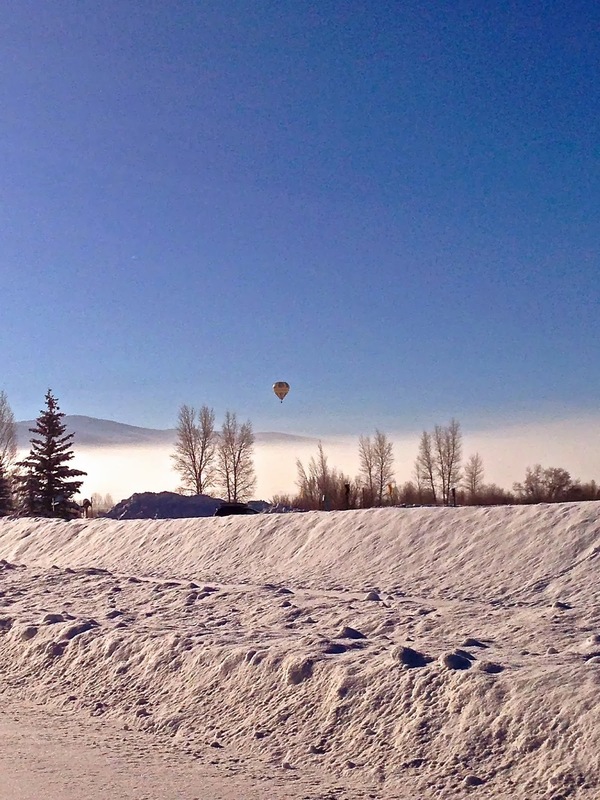 Steamboat Springs is not your average ski town. Hosting the oldest continuous Winter Carnival west of the Mississippi, Hot Air Balloon Rodeos, a distinguished Wine Festival, and hot springs everywhere you turn, one might even forget about skiing (ha). A short walk from the heart of downtown, the famous ski jump of Howelsen Hill is visible from the rooftop of the Howelsen Place condominiums. This hill is named after the ski jumping and racing legend Carl Howelsen. After returning from a tour with the Ringling Brothers as a ski performer, Carl introduced ski jumping on Howelsen Hill in 1914. His true focus was building a ski community, so he founded the Steamboat Springs Winter Sports Club hoping to give every American child the thrilling experience of being on snow. The Steamboat Springs Winter Sports Club has produced 79 Olympians, I would say Carl's vision has been actualized. Carl Howelsen also established the Winter Carnival. The carnival takes place in early February, unfortunately the giant and I had to return to NYC for Fashion Week the day before Winter Carnival began. A total bummer, I've been know to like a good party. During this carnival, there are ski jumping events and one could learn how to ski jump. You know, if you happened to wake up and decide that you just need a little extra oomph in your life. The carnival hosts a variety of contests including: GS races, snowboarding jams, a grom slalom, and horse pulled ski races straight through downtown. The locals really get into it, some of the past images of this event are hilarious. Then the main event- the Night Extravaganza has a lighted man and an insane torchlight parade with fireworks. The whole town comes out for it. The Giant and I were staying in the Howelsen Place. Our condo was overlooking the Yampa River Promenade, the Yampa River (obviously), and Howelsen Hill. This Promenade will be the new place to host festivals and events in the future. It reminds me of the Highline in NYC; a new way to showcase the beauty of the area. The Yampa River Promenade should be finished next year. The promenade was a two minute walk from our "Mountain home". I looked and looked and looked and there was no trash to be found. Very different from our NYC rivers. The Yampa is gorgeous during the winter, I can only imagine what it looks like during the summer. Carl's Tavern (named after you know who) was dangerously located right downstairs from our condo in Howelsen Place. I am now addicted to "the business" (specialty smothered fries- duh). They also have a killer house band- The Sam Holt Band. They jammed the night after the Superbowl, allowing the locals to tear it up and forget all about their beloved Broncos. All in all, we definitely recommend staying downtown. Everyone knows that on vacation, nothing beats an all out feeding frenzy. Staying in downtown Steamboat Springs will enable you to have that necessary second and third dinner. Noodles and More Saigon Cafe provided me a fresh and light second dinner after I clogged my arteries with some serious bar food at Old Town Pub. Rootz (also located downstairs from our condo) was an excellent healthy organic breakfast spot with banging smoothies. The giant and I mainly stuck to take-out, a fail proof pig-out technique, because no one knows that all the food you ordered is just for two people. We also fell victim to take-out because our condo was so nice it was hard to leave; not because I was having some serious walking trouble, being a flat lander scoring three days of powder in the land of endless glades. You might be surprised to learn that there is more in Steamboat Springs than riding and eating. We also went to the Old Town Hotsprings, a three minute drive from our condo. They have a lap pool along with all the hot mineral pools. Old Town is open late (not for New Yorkers) 10 PM. The giant and i walked up to Howelsen Hill, the Howelsen Ice Arena, and gazed longingly at the ice bumper cars (we were too late- of course). Steamboat Springs has a sweet little museum, The Tread of Pioneers Museum where you can learn the stories that will only deepen your love of "The Ski Town USA". This was a whirl-wind trip. We flew into Denver Friday night, rode some A-Basin pow on our way to Steamboat Springs on Sat., had two creamy Steamboat days, and then flew right back to NYC. There wasn't much time to see all that Steamboat Springs had to offer; just giving us another reason to return to this cowboy ski town gem in the Yampa River Valley.